A Valentine's chocolate from Suzuka Gozen. The manufacturer and era of its production is uncertain. 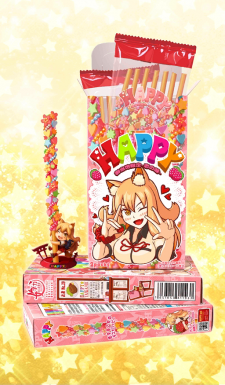 Though it is easy to eat, it's also a unique item, showing off Suzuka's attentiveness. This page was last modified on 6 April 2019, at 08:56.